Utilities will be moved at the site of a landslide on SR 339 in Washington County beginning on April 8. The work will take place between Lakeview Drive and Elk Run Road (Township Road 650A). The road will be closed in this area from 8 A.M.-5 P.M. through April 12. After 5 P.M., one lane will be opened to traffic. 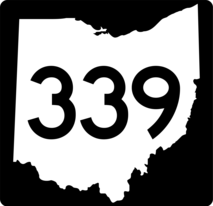 ODOT’s detour is SR 339 to SR 60 N to SR 83 N to SR 78 E to Caldwell to I-77 S to Macksburg to SR 821 N to SR 339. Upon conclusion of the utility move, one lane will remain closed and temporary traffic signals will be in place due to the landslide.